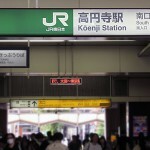 Japanese jeans has a reputation among fashionistas as being the best in the globe. 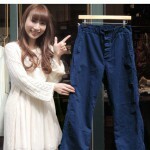 Not only extremely-well-made premium basic jeans is what it is but the rich ideas of each brand is a basis of the popularity. 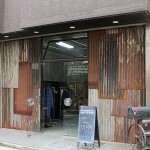 We came across CAL O LINE that has amazing ideas when visited and Pheb in Koenji. 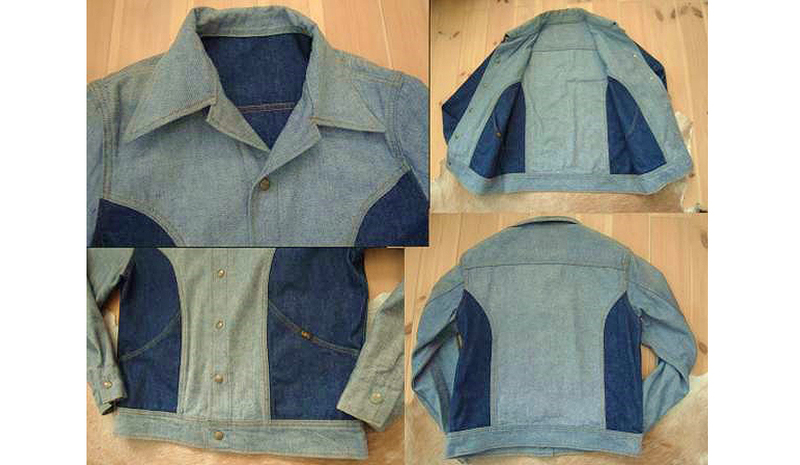 They have re-innovated the reversible denim jacket of Lee from the 70’s to jeans. 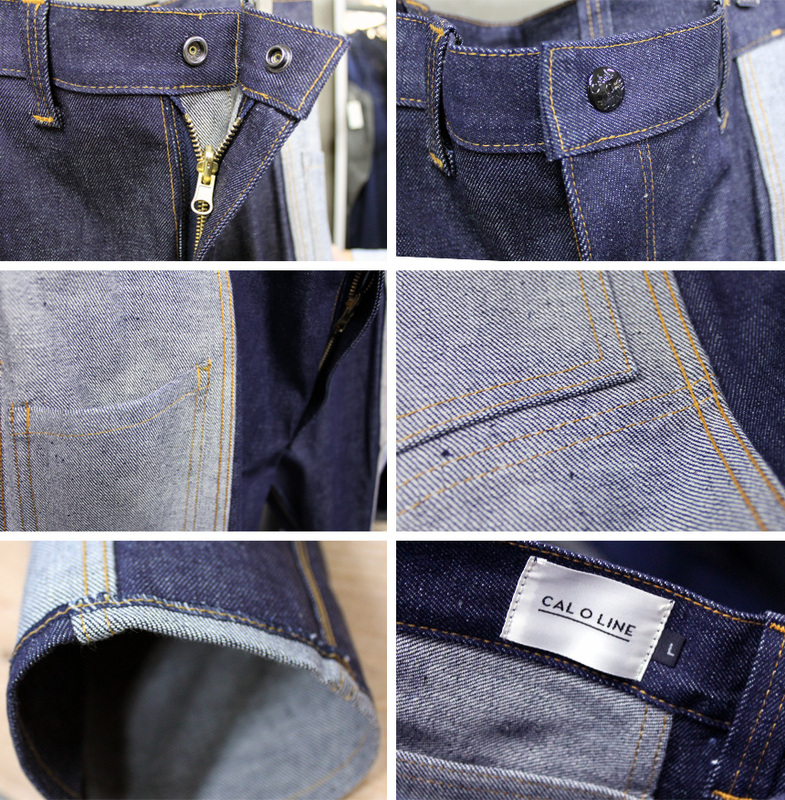 CAL O LINE was established by Kaneko who is the former designer of SUNNY SPORTS, another great Japanese brand. He was in love with American culture, surfing and vintage clothing in his teens. Mixing his things and experience at SUNNY SPORTS has developed CAL O LINE in 2015. 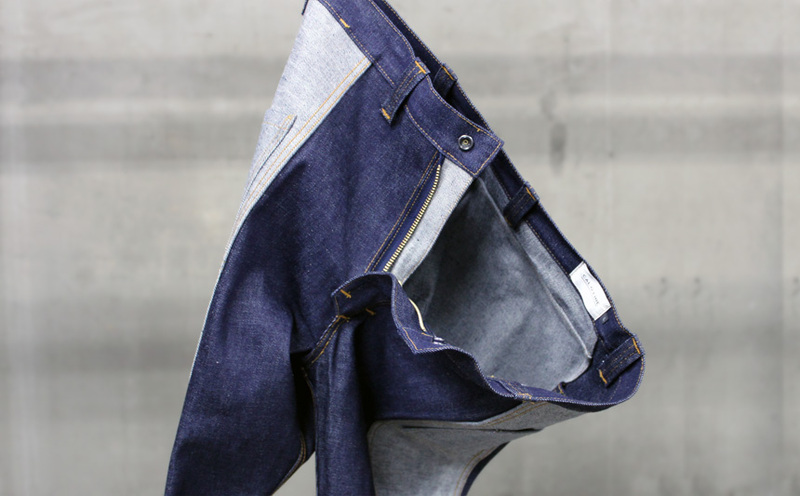 Front and back side of denim is sewn together to make interesting contrast on the pants by getting inspired from the Lee jacket. This is only possible for brands such as CAL O LINE who has high-skilled sewers. 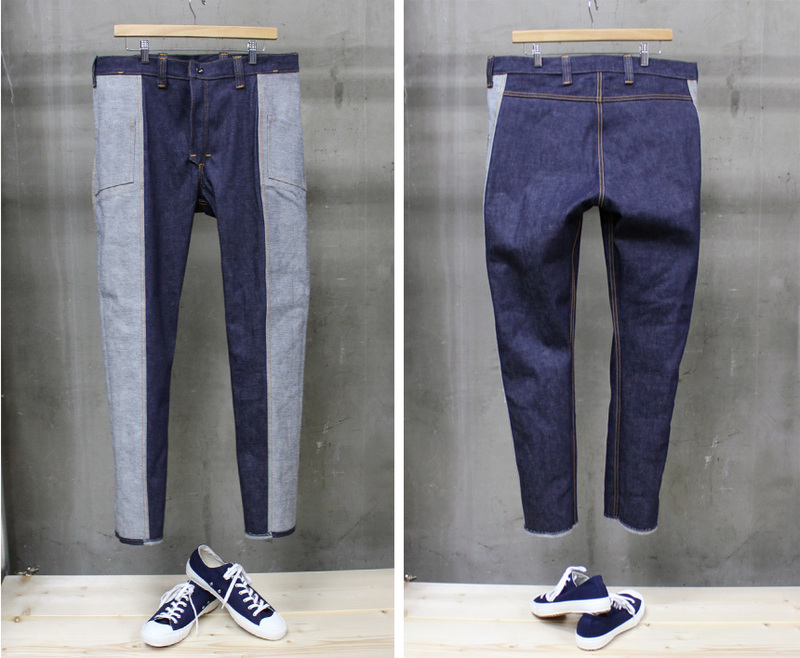 The best feature of this pair of jeans is reversible with 2 front pockets, reversible zipper-fly, slim fit and tapered towards the bottom. Of course made in Japan. 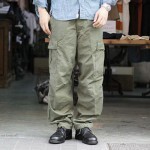 It is totally up to you to wear them raw or washed, inside-out or outside-out…. 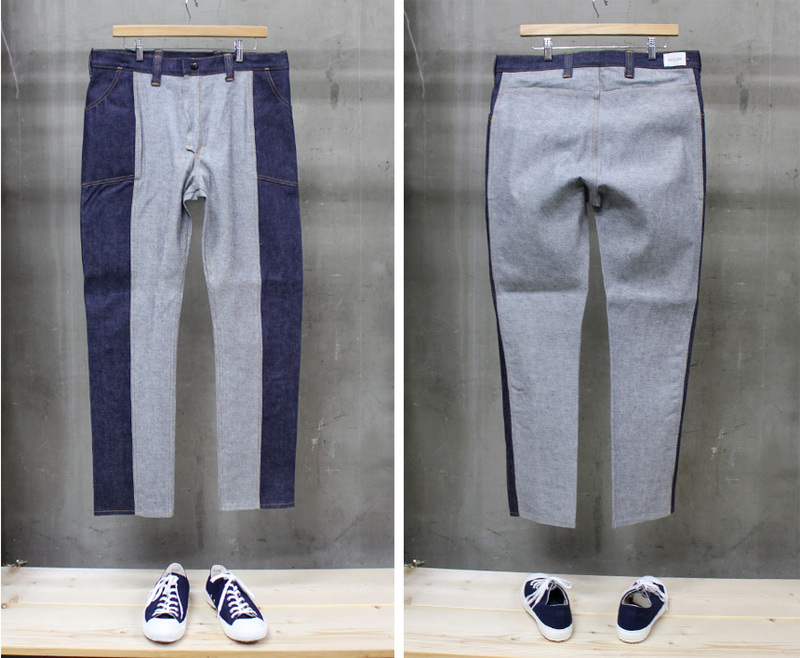 REVERSIBLE DENIM PANTS from CAL O LINE can be found from andPheb. Find more information about andPheb on our SHOP DICTIONARY.